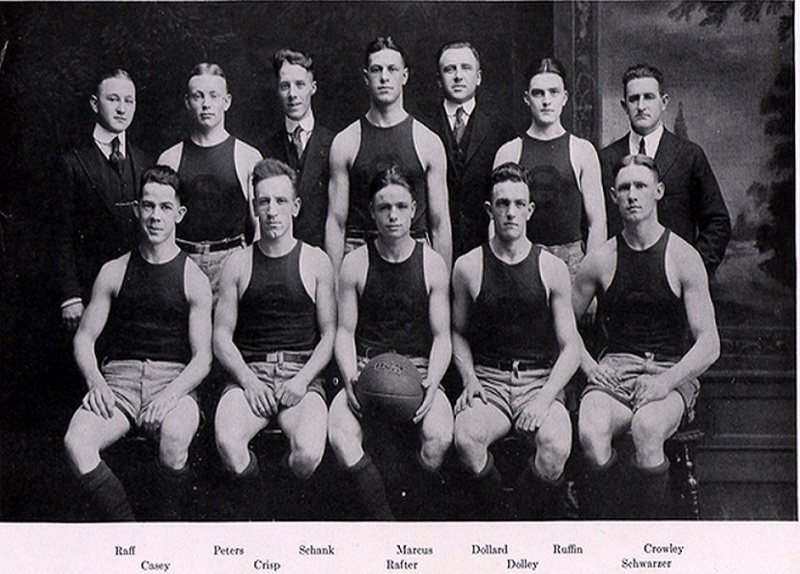 The team was captained by star athlete Billy Rafter, and was an experienced squad with Wilbur Crisp and Jim Casey in the backcourt, football star Joe Schwarzer in the middle, and recent transfer Charley Dolley at forward. The team saw its 47 game home winning streak broken against a very impressive Yale squad in early January. They pulled off some close victories over the course of the season, with Crisp nailing all his crucial free throws, the exception being in a humbling loss to Rochester on January 20th, where he was 5 for 12. That game also saw Schwarzer sitting out for academic reasons. The only other loss of the season came against Penn State, by one point, as they kicked off a four game Pennsylvania road trip. Early in the season coach Eddie Dollard toyed around with his lineup with five different starting lineups in the first six games, attempting to find the best chemistry on the court. For a couple of games, Schwarzer joined Crisp in the backcourt. Eventually, everything came together with Crisp and Casey forming a strong defensive backcourt. The team finished the season winning their last seven games. Dolley and Crisp would tie scoring honors from the field; Crisp would average almost 8 free throws made a game, giving him overall scoring honors.